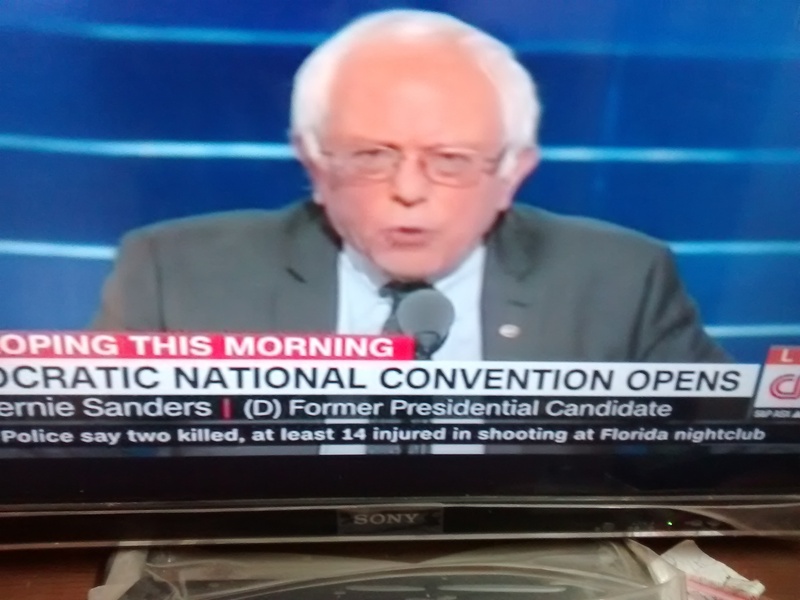 ” Democratic National Convention, Day 1 – ‘Unity’ Theme Score 65/35 ” – July 25, 2016. Wikileaks e:mail expose putting the party under a cloud; DNC Chairwoman, Debbie Wasserman Schultz, resigning from her position; frequent fragmented protests in a few places prior to the convention – all treading on the heels of the Democratic Party made it look like a patient who was neither well nor ill. But the audience remained overwhelmed and spirited by the speeches of Michelle Obama, Bernie Sanders , and Elizabeth Warren with their bets rising high on “Unity”. It perhaps also brought about a sense of great relief setting the stage for a smooth, confident, and successful convention by end Thursday. Michelle Obama gave a committed speech fitting the occasion and time focusing her efforts continuously around the singular purpose of ” unity” with a clear perspective of the desired end i.e. enhancing the trustworthiness of Hillary Clinton. 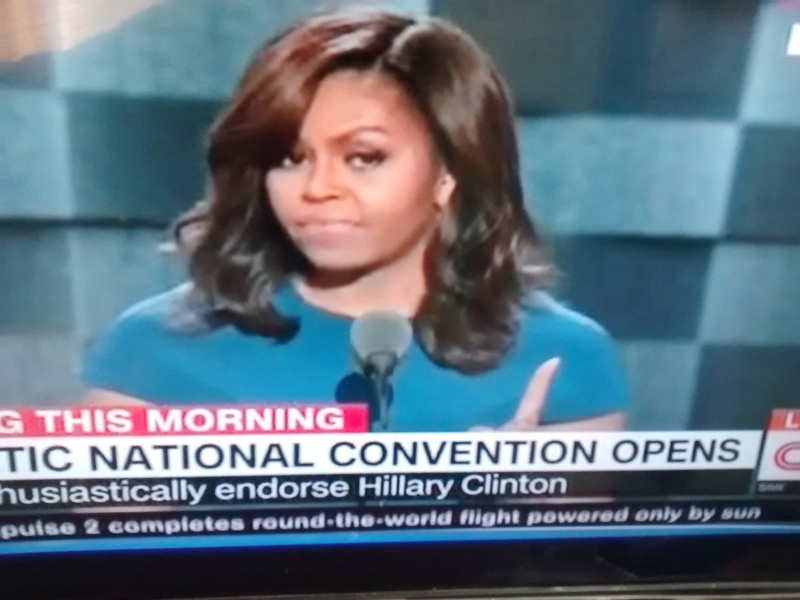 Michelle Obama gave expression to the fact of Hillary Clinton being a role model for women citing her long association and keen observation of her activities for years. The speech could not have come at a more opportune moment when the party was in dire need of elevating the mood of voters in its favor. It was also exemplary that President Barack Obama, himself an excellent and accomplished public speaker, can be proud of. Bernie Sanders, consistently and emphatically, delved on party platform, policy, and issues effectively emphasizing his message with a clear sense of purpose giving force through hand gestures, characteristic of any public speaker, and an excellent exposition of ethical consequences ( kids through education becoming great citizens in future; climate change actions to protect the lives and prosperity of future generations; streamlining of campaign finance offering a level playing field to all contestants; a curb on big banks/financial institutions for effective governance and enhancement of the lives of the middle class; making healthcare not just affordable but with an option to choose the clinic to the individual .). Even while admitting that his voters and himself were a disappointed lot, he displayed the courage and conviction to sustain and promote the “platform” forward. He also portrayed Hillary Clinton will be an outstanding President and assured he will stand with her. 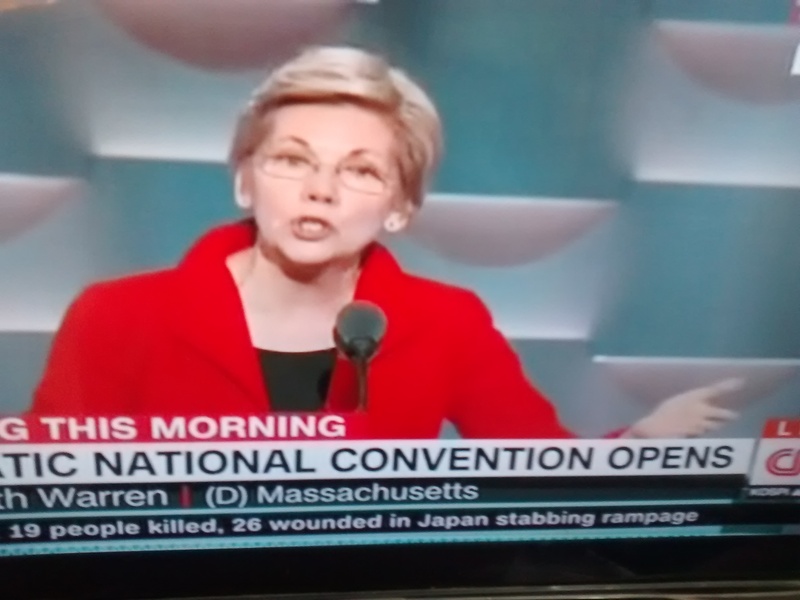 Elizabeth Warren in her forceful speech continuously and squarely insisted on getting the audience dependent on the party’s thoughts and actions. To support and demonstrate her points, she alluded to the experience, issues and characteristics that Hillary Clinton is capable of accomplishing with the tenacity, resolve, and commitment that she is endowed with. She delivered the speech with the tone, style, organization, and substance that any academic will like to follow or imitate. 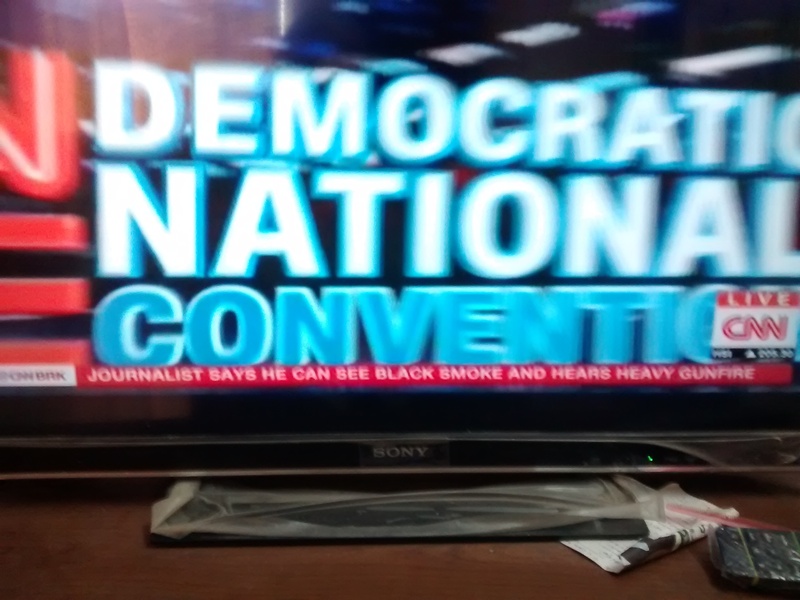 In sum, it is a good day for the Democrats emboldening the participants, delegates, audience, and all listeners in equal measure to take the momentum forward during the next three days. Well begun is half done ! My subjective assesssment score for “unity” achievement is 65/35. Tidbit : ” Man can be as big as he wants; no problem of human destiny is beyond human beings “. – John F Kennedy.